We are proud of all our students and their accomplishments. We wish them continued success in their careers and in life. 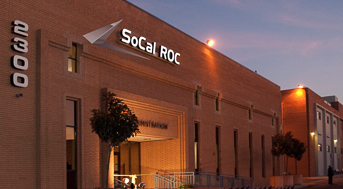 The following students have successfully applied skills learned at SoCal ROC to gain employment in their field of study. Congratulations! Alexa I. has successfully found employment as a Medical Assistant after completing course(s) in Clinical Medical Assisting. Alyssa G. has successfully found employment as an Assistant to Aides for signing students after completing course(s) in ASL II. Amanda S. has successfully found employment as a Dental Assistant after completing course(s) in Dental Assisting. Amanda T. has successfully found employment as a Certified Medical Assistant after completing course(s) in Certified Medical Assistant.